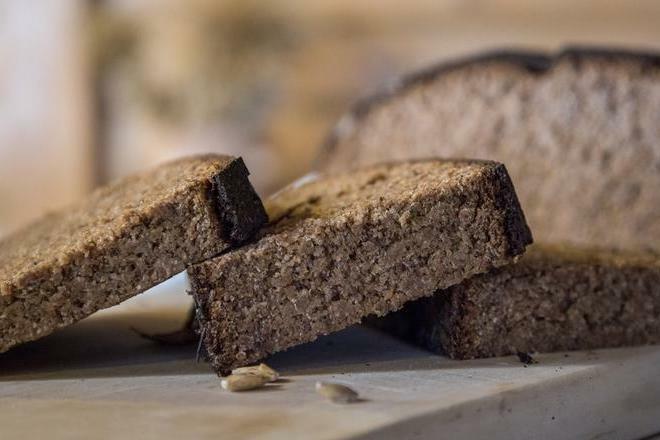 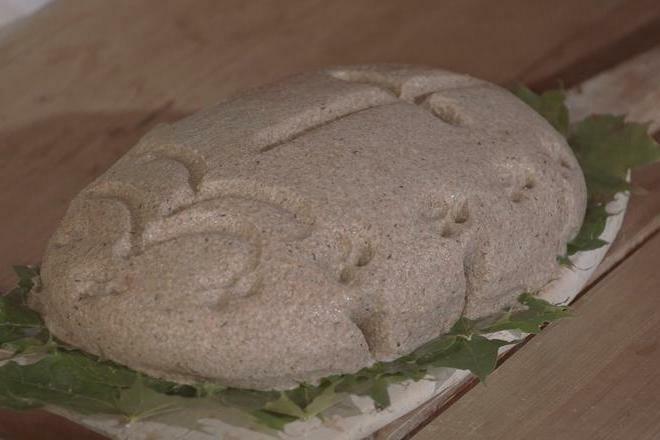 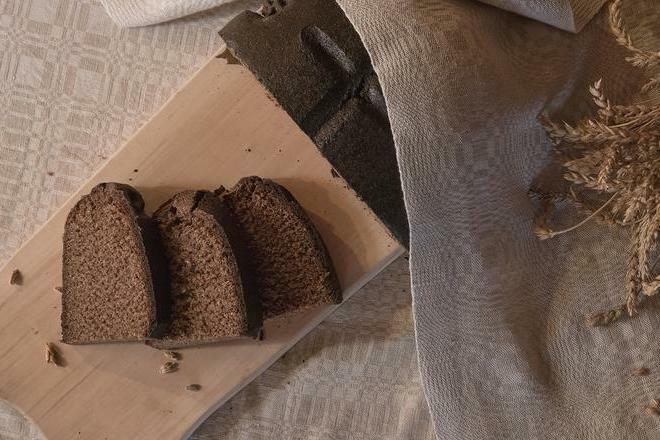 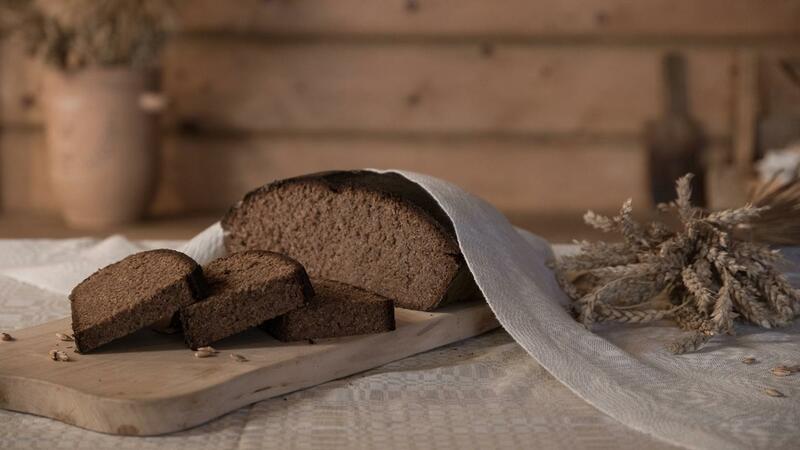 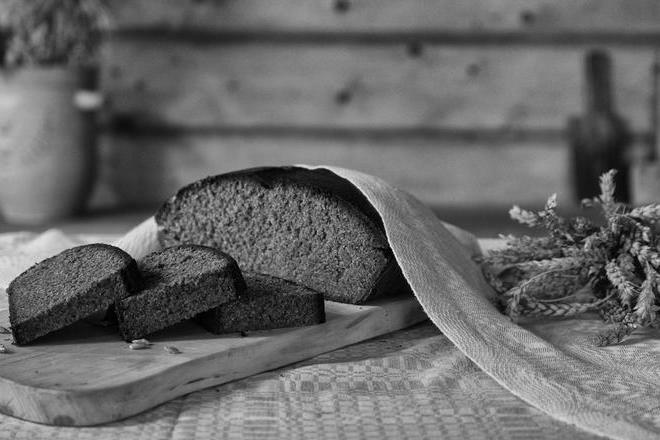 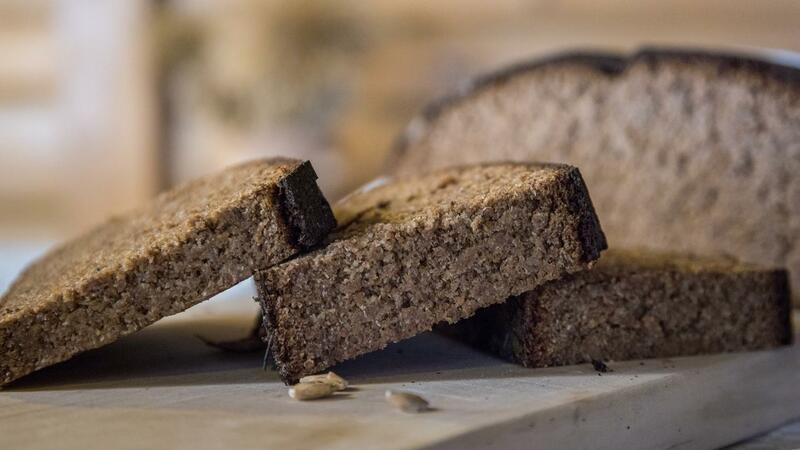 From old times, traditional Lithuanian food - rye bread - is served on both the daily and the festive table. 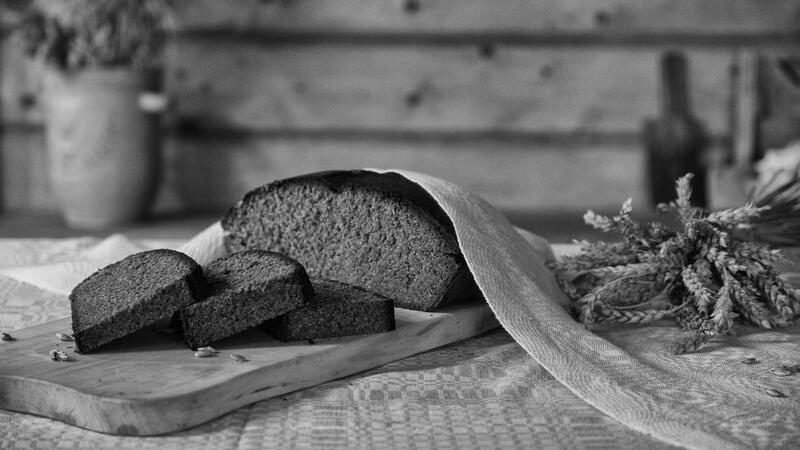 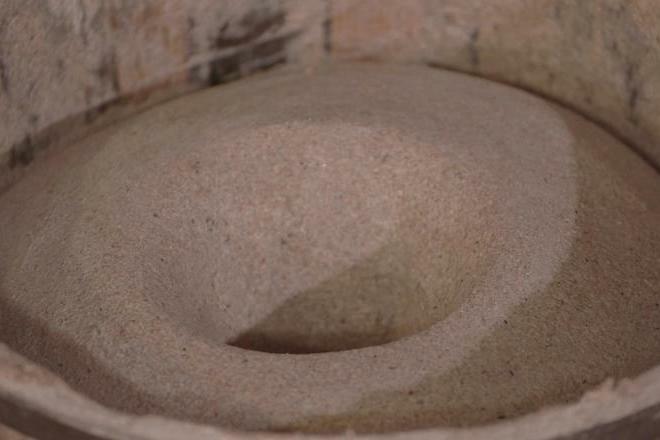 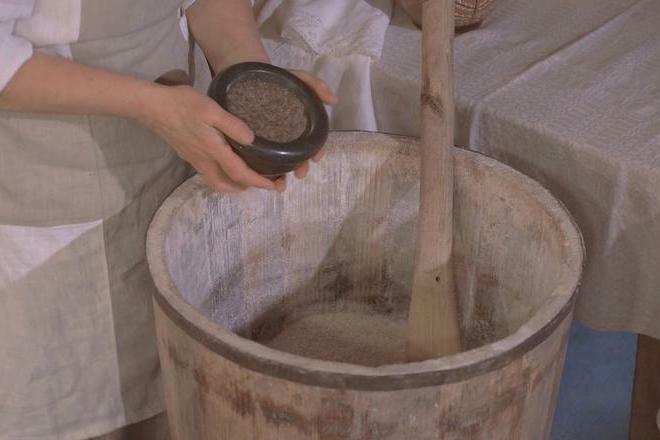 Until the middle of the 20th century, rye bread was the main meal in the villages of Lithuania. 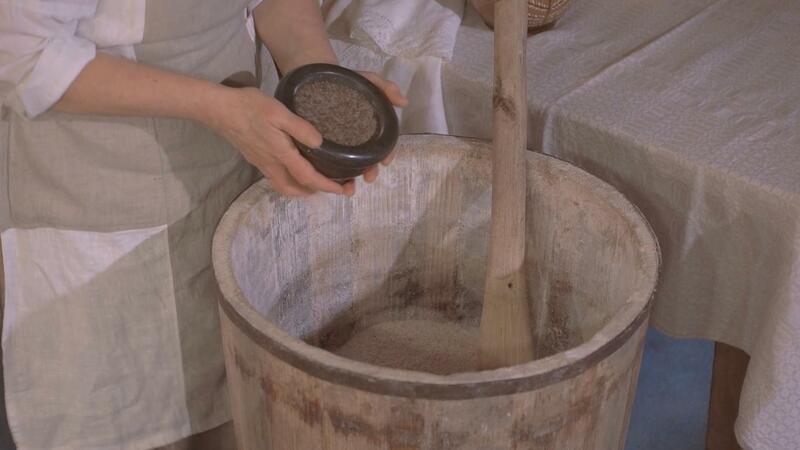 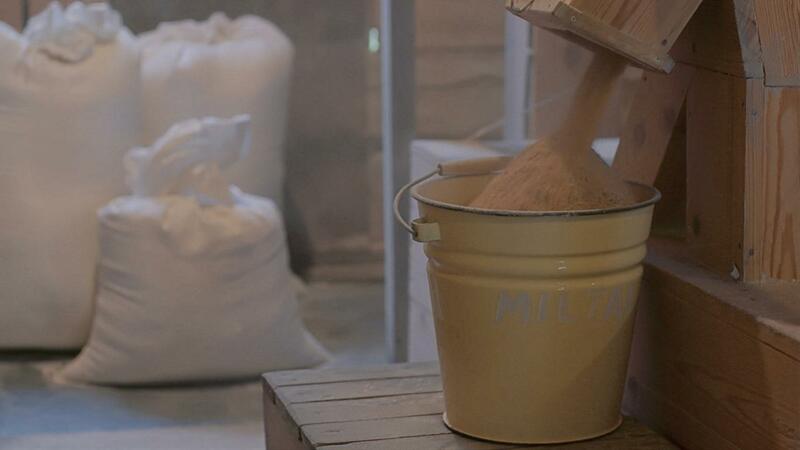 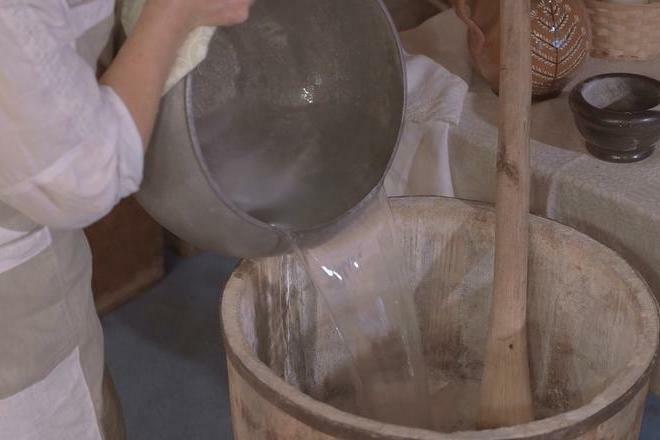 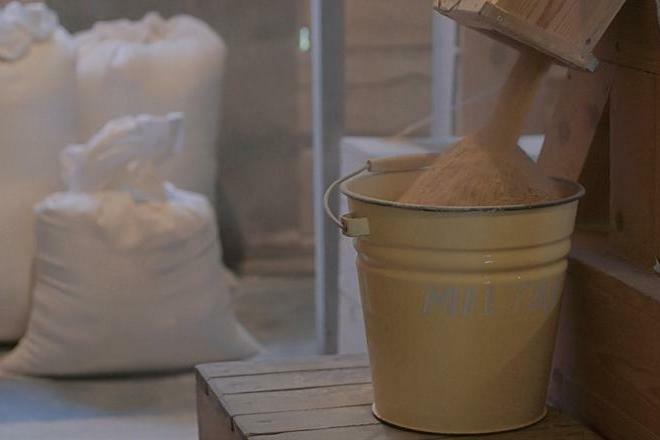 In the second half of the 19th century and during the World War I, other cereals or other plant flour were added to the dough. 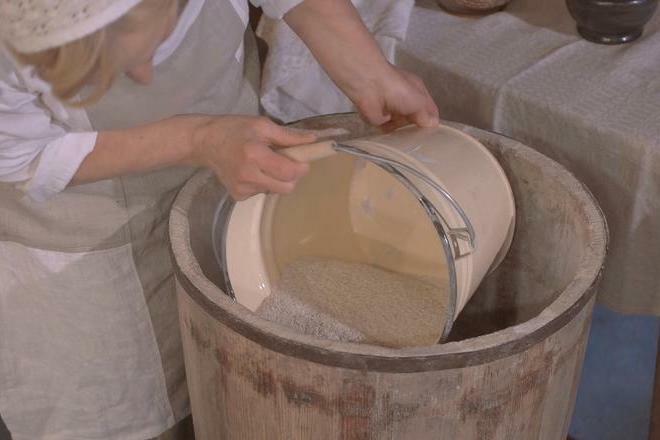 Add a third of flour and cumin, and pour boiling water in a bowl and mix well, so that there are no dry lumps of flour left. 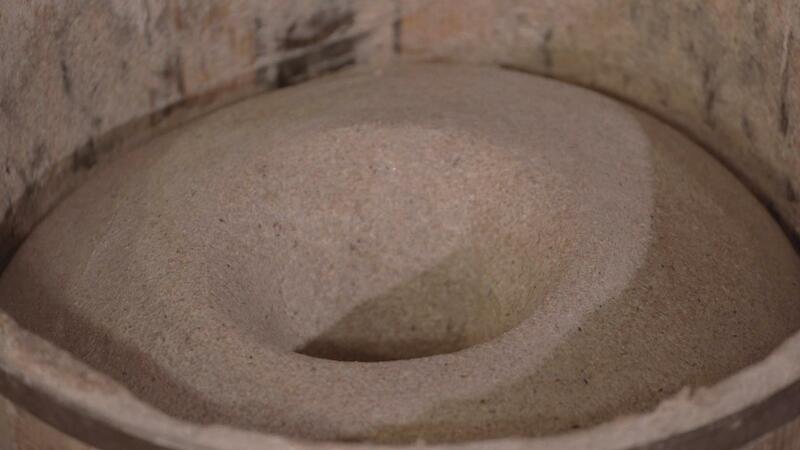 Cover the bowl and put in a warm place for 3-4 hours, so that the dough is sweetened. 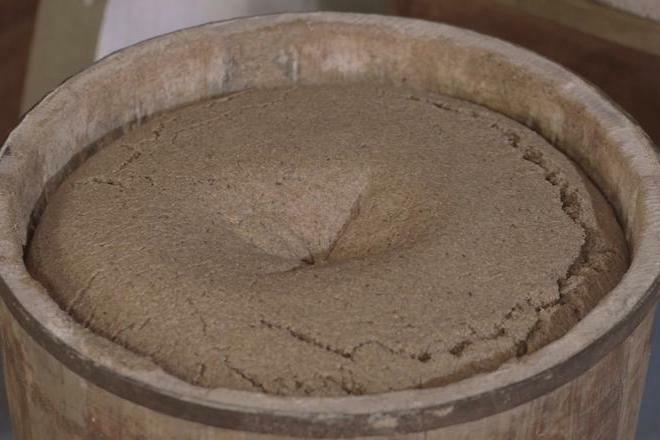 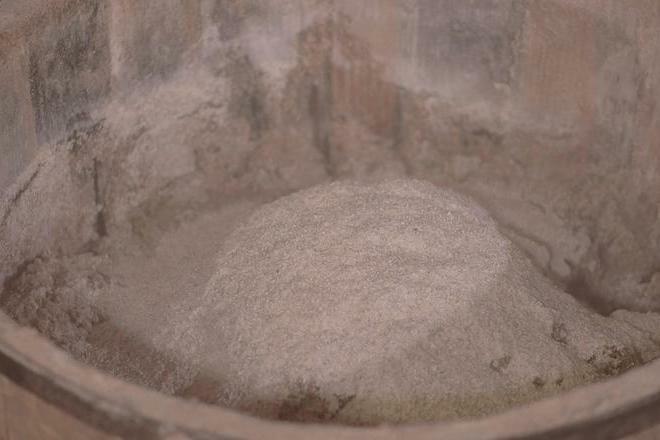 Add the sourdough starter diluted with warm water; if there is not enough water, add more, shake up well, flour the surface, cover again and put it in a warm place for 12-18 hours to sour. 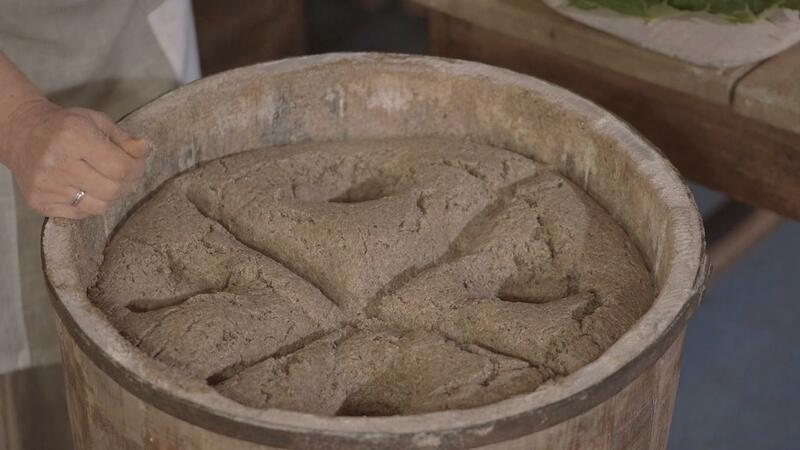 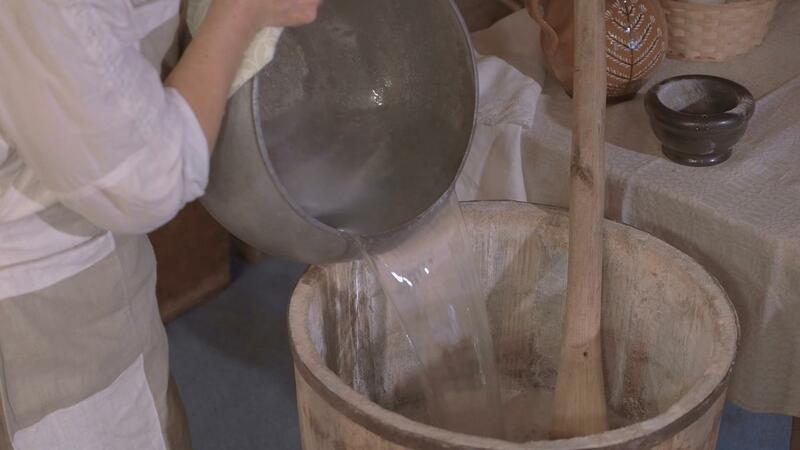 Shake up the sour dough, add salt and the rest of the flour and knead very well. 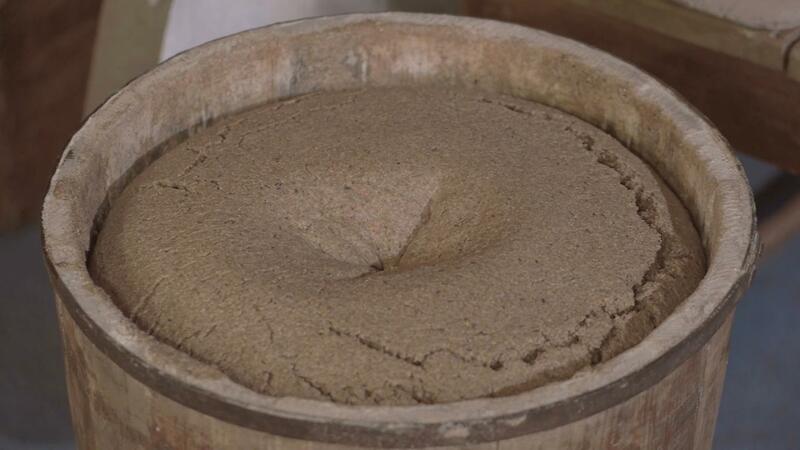 Put in a warm place for the dough to rise. 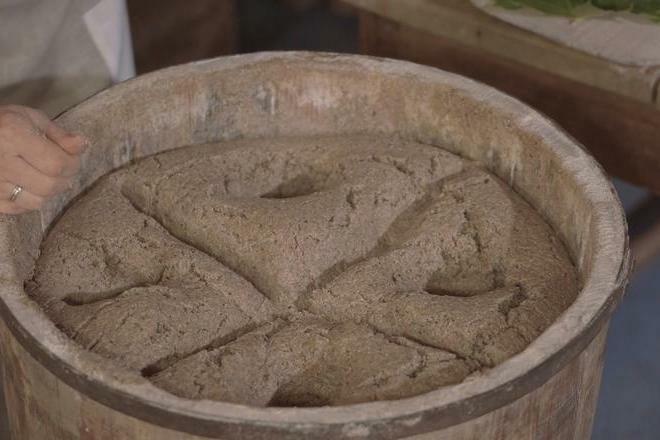 The stove should be heated when the bread dough is ready. 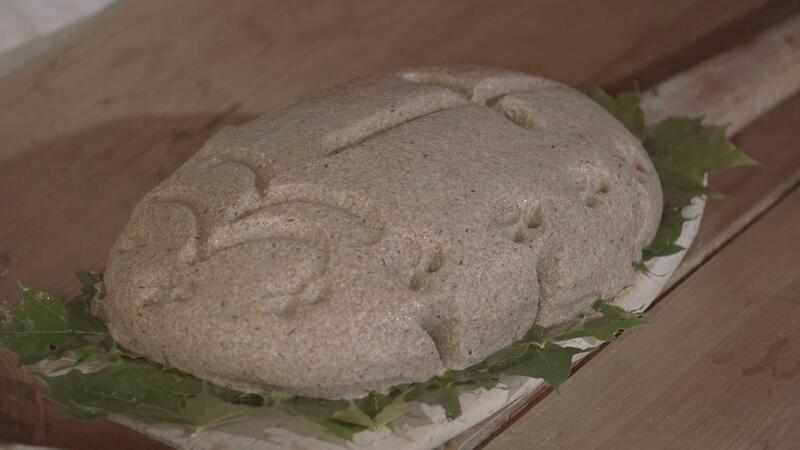 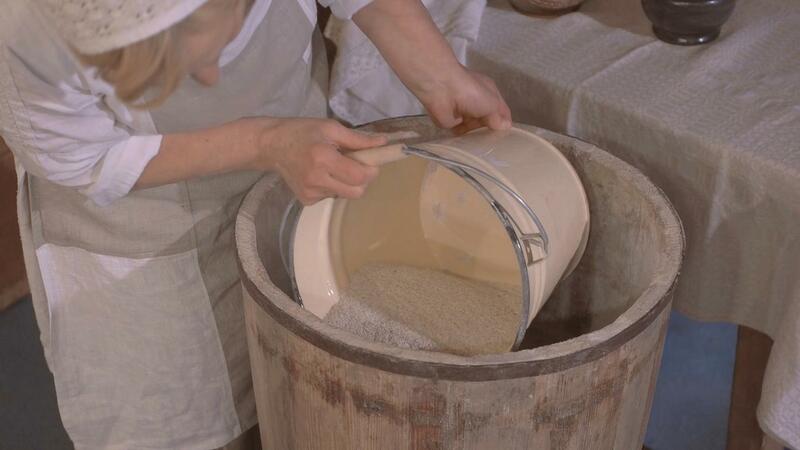 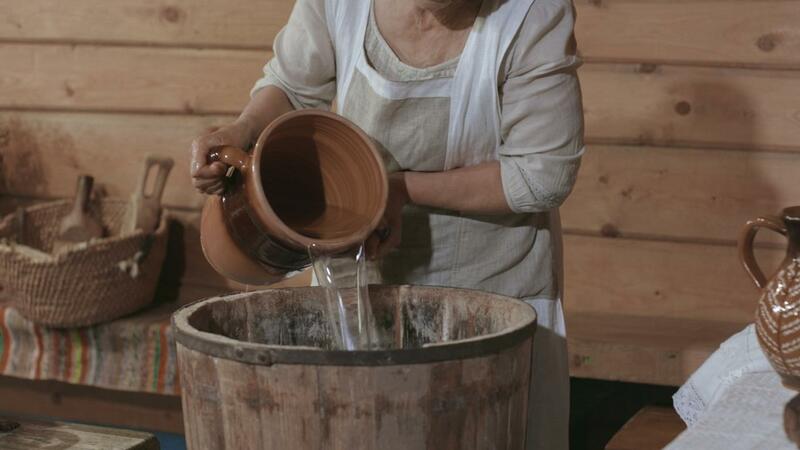 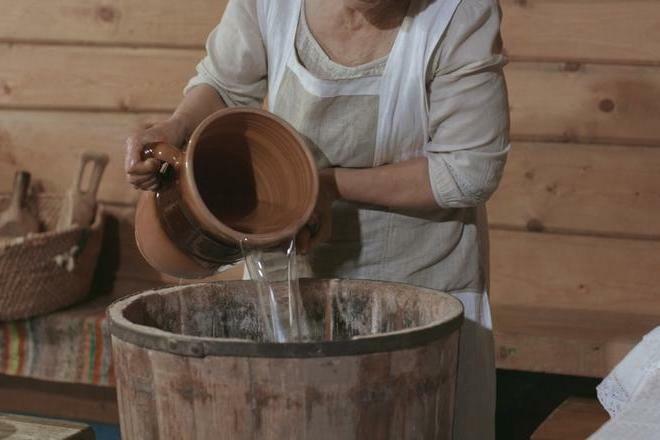 Form loaves on the leaves of cabbage, maple or calamus and place in a stove, heated up to 300 °C. 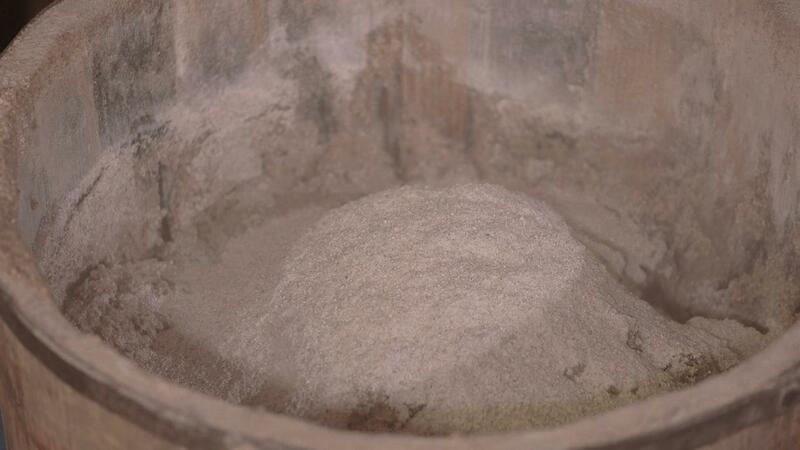 Bake for 2-3 hours. 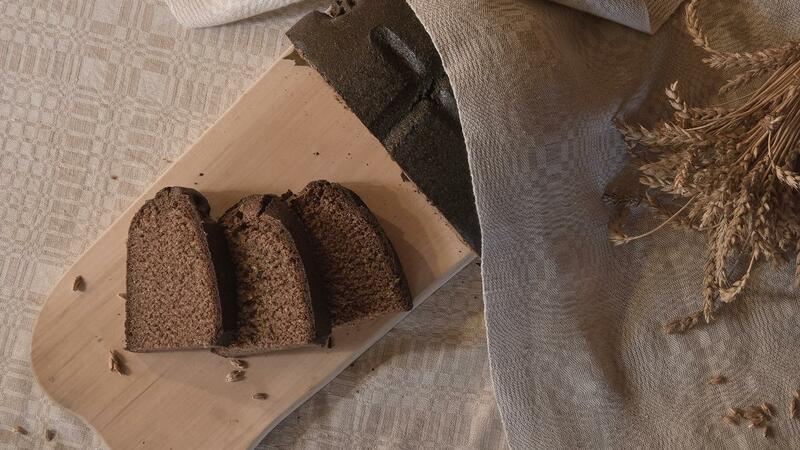 After 1 hour of baking, sprinkle the surface of the loaves with hot water.